Whatever the case may be for you at the moment. I mentioned a few weeks ago that I was participating in Nerd Wards on Ravelry. 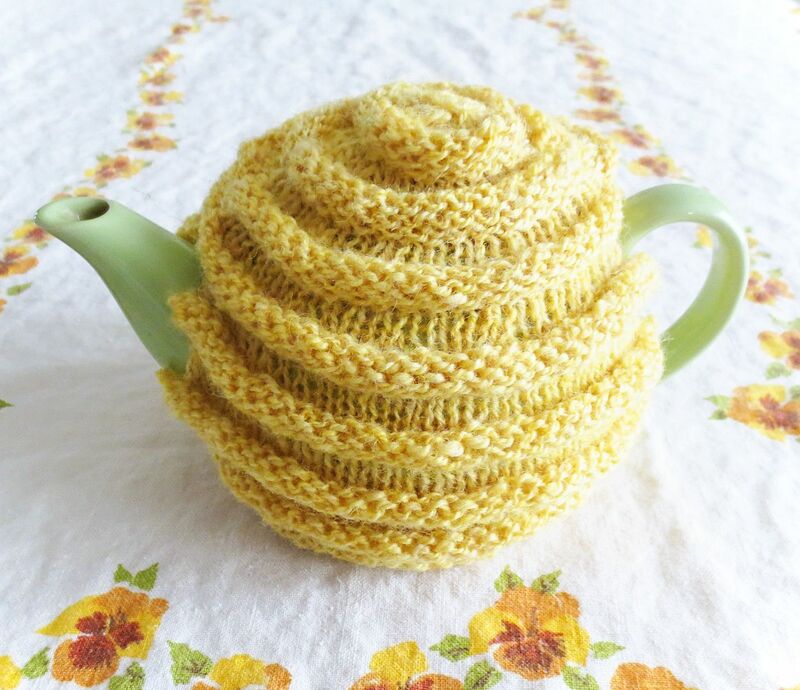 I posted my first project submission yesterday-- this bee hive tea cozy! It's knit from some of my early handspun, which isn't the softest yarn in the world, but the squishy bee hive ridges improve it a lot. The challenge for this particular project was to choose a character from another kind of nerdiness, then make something that reminds you of something you would have on a date with that character. Naturally, I chose Winnie the Pooh-- he loves tea, and he loves honey, so I think he'd love a honey-themed tea cozy! The other part of every challenge is to find a way to tie your project into your team. Since I'm on Team Precious, I needed to connect my tea cozy with something from Tolkien's writing, or the movie adaptations. 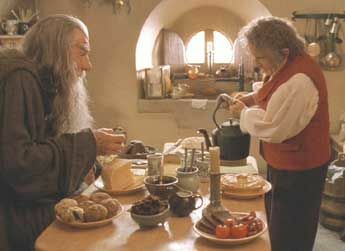 Luckily for me, there are plenty of examples of hobbits either drinking tea or offering tea to their guests. Was anybody else a nervous wreck during this scene in The Hobbit? 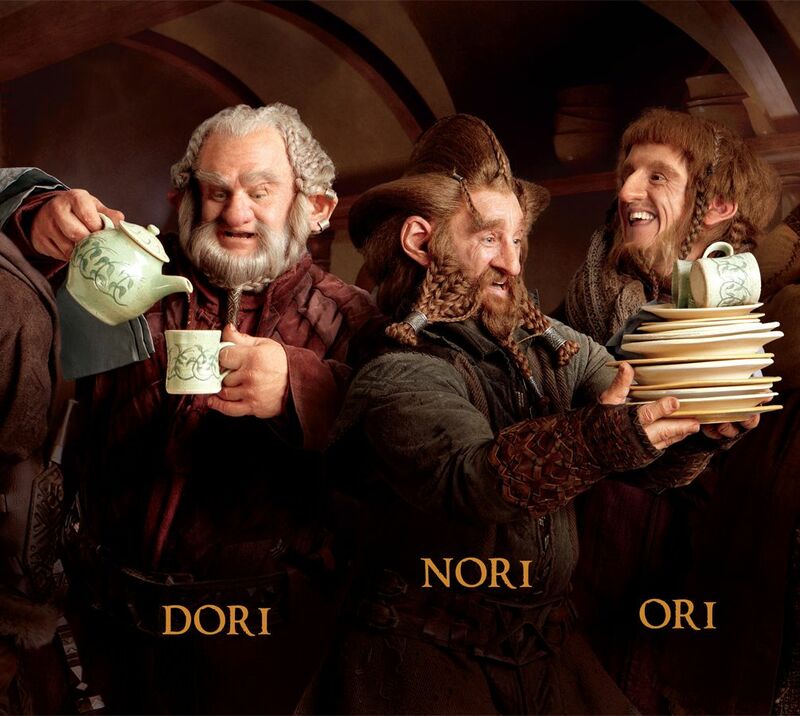 All of Bilbo's lovely plates and bowls and cups being tossed around-- Eeeeeeek! 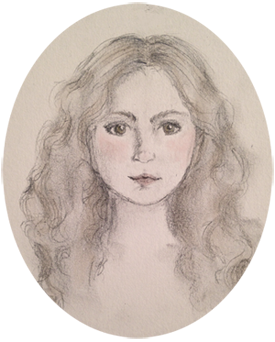 Honey is also mentioned several times, either on its own or as an ingredient in foods like honey cakes (and someone actually devised a recipe for them, based on the description in The Hobbit! How cool is that!) So it was easy-peasy to relate my tea cozy back to Tolkien's work. As per usual, more technical details and modifications can be found on my Ravelry project page. Aw, thank you! My teapot is very flattered! Oh that tea cozy is gorgeous! I wish I liked tea, sometimes I feel like buying a tea pot just so I can knit cosies for it.